Domestic water consumption makes up 8% of total global water use according to UN-Water 2010. It therefore means that our homes alone generate about 8% of the total global water used. As much as it has been advocated for people to cut back on water use and minimizing wastage to conserve water, it is even more rewarding to collect and Reuse waste water as it ultimately saves water even more. Waste water recycling is one of the most sensible and winning options for promoting water sufficiency and it can range from simple home methods to sophisticated industrial wastewater filtration systems. Reuse of different types of waste water is hence a way to optimize water use at home. It can either be reused directly or treated and reused as discussed in this article. Here are 18 Smart and Easy Ways to Reuse Wastewater in 2018. Waste water can be used for agricultural purposes such as watering landscape gardens and lawns. It can equally be used to irrigate vegetable and fruit nurseries or flower and fence bushes. As much as irrigation increases crop yield, it should be used according to the WHO (1989) guidelines for the safe use of wastewater in agriculture by monitoring the water contaminant levels of waste water. If not monitored, humans and animals may end up consuming contaminants from the crops which is not good for health. Also through the monitoring program, it is possible to prevent excessive soil-nutrient runoff and salinity from irrigation by the use of salty water, which inhibits Plant growth. Subsurface irrigation systems are designed to spread water evenly around the garden and as such, are recommended for irrigating with untreated water. Grey water refers to wastewater from non-toilet plumbing fixtures such as showers, basins and taps from domestic household use. It is slightly used and is not in contact with feces but can contain some elements of household cleaning products, grease, hair, food or dirt. The reuse method involves diverting waste water from the drainage sinks and washing machines then directing it into a grey water collection system. Showers and sink only require a simple grey water collection system as opposed to trapping used water from washing machines. With the installation of the system, the grey water can be used outdoors for cleaning the veranda and the driveway, watering grass, or even washing the car and doormats. The water in the fish tanks must be routinely changed to get rid of excess toxic materials and waste dissolved in water that could harm the fish if left to accumulate. When refilling aquarium water, instead of disposing of the dirty water, one can use it for agricultural reuse like watering potted plants, vegetable nurseries or lawn gardens. As a matter of fact, the water is very good for plants because it contains materials such as nitrogen, phosphorous, potassium and ammonium and other microorganisms found in soil sediments, which can act as natural fertilizer. In doing so, however, it is advisable not to water plants with used water from salt water aquariums as it can harm the plants due to high salt content. Collection of shower water is the easiest and simplest way to reuse water at home. Water from the shower can be reused after a bath by plugging the drain and letting the bath fill up. It can then be manually collected from the bathtub using a bucket. Alternatively, one can stand in a basin or bucket when taking a shower to collect the water. After bath, the collected water can be reused for watering outdoor flowers and lawns. Collecting rain water is equally part of water reuse that many people do not recognize. The installation of gutters for diverting rain water to where it can be stored does the work. After collection, the water can be used in the garden to water plants, for laundry and many other purposes as rain water is considerably clean and safe compared to other types of used water such as grey water. Coarse filtration of used water can be done to improve its reuse purposes. It entails the removal of large particles in the used water such as grease, hair, plastic dirt and food just to mention a few. With coarse filtration, the grey water from the house is collectively then directed into the filtration system where the coarse particles are removed. Once removed, the outflow can be connected to an irrigation system for use in watering plants and other purposes such as washing the car and outdoor cleaning. Just like coarse filtration, fine filtration can as well be used to make waste water more useful. The difference is that fine filtration is majorly used to remove microbes from water. If properly filtered, the water is fit for human consumption and cooking. There is a basic structure recommended for a fine filtration system and once it is set up, the grey water can be filtered then directed to a collection point where it can be used for various purposes. Waste water from laundry cleaning can be directed for outdoor use. It can be collected from washing machines by removing the discharge hose from the house drain and connecting it to a longer run off hose that can reach the yard which will enable the collection and use of waste water every time laundry is done. During laundry the pipe can be moved to different points in the yard to avoid erosion and ensure the lawns are watered evenly. The laundry water can also be used for cleaning the pavements and the driveway. One of the most nutrient rich kitchen water is that used to boil vegetables and pasta. It can therefore serve a very good purpose in watering plants. Vegetable and pasta water can be collected in pots and after it has cooled down, it can be used to water the garden. This is water that runs from the shower as you wait for it to get to the perfect temperature before starting to take a shower. 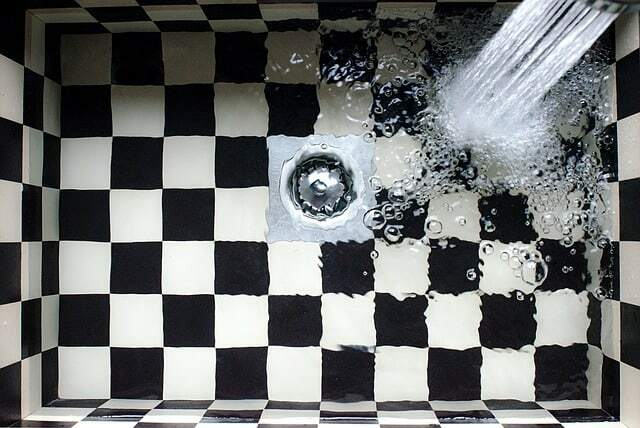 Instead of letting the water to be wasted down the drain, one can capture this warm up water by simply placing a basin or large bowl under the faucet when the shower is turned on then simply moving it out of the way when the water gets to the preferred temperature for bathing. The water can be used directly around the household because it is very clean or can be used outdoors to water garden plants. Instead of dumping ice from over stayed ice trays from the freezers or ice coolers in the drain, spread it on the garden grass or around plants and let the ice melt into liquid. Drinking water stored for a long period of time has a stale taste, is murky, and also has a great probability of being contaminated by bacteria. Instead of disposing it by pouring it out, you can use it for washing utensils and other household chores as it is not that dirty. Stale pet water can also be used on potted plants. In most cases, rain from the roofs of our houses is just left to run off into the sewer systems. In a bid to save this water from going to waste, rain barrels can be used to collect the water by placing them under the gutter’s downspout. The water can then be used for various purposes such as laundry, watering plants and general cleaning in the house. A sink-to-toilet system is one that has an adjustable sink toilet top attached to the toilet’s refill cycle. The system works by filtering sink drainage after which it stores it in a reservoir, which is used to flush the toilet. Particularly, it redirects water from the pipe to a valve which then drains the water into the toilet bowl. Every time when potted plants are watered, there is always water overflow or water running out of the drainage holes of the pots that goes to waste. Instead of letting this water flow away, it can be collected then by placing the plants in deep trays and used to water other smaller plants or the grass. The water used to wash fruits and veggies can be collected then used for watering potted plants and gardens. 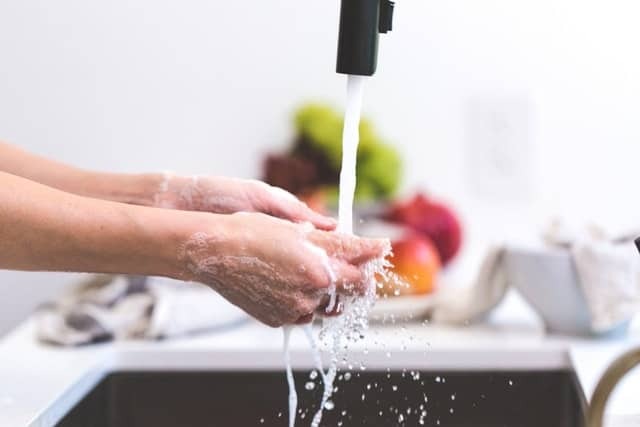 The rinse water for utensils can also be saved and used to water houseplants or for other cleaning purposes in the house such as floors, toilets and sinks. Rain gardens can be built effortlessly as it does not require any superior skills. It is just a matter of putting up rain gutters that directs rain water to the garden. Several holes at strategic points can be punched under the pipes to simulate overhead irrigation. Alternatively, the gutters can be used to direct the water and run it through plants from hanging baskets after which it flows to other plants in the lower parts. With this easy method, less water is needed for watering the garden. When washing the car, it can be done in such a way that the water drains into the lawn instead of it being directed down the drain. Soap water cannot harm the grass. So, by moving the car very close to the lawn before washing it is an impressive technique of saving the clean water that would have been used to water the grass. The post 18 Smart and Easy Ways to Reuse Wastewater in 2018 appeared first on Conserve Energy Future.